A new addition to the Accuris line: Series Dx … a perfect balance of performance, design, and quality. Refined Control Panel: Enhanced graphical interfaces significantly improve ease of use. 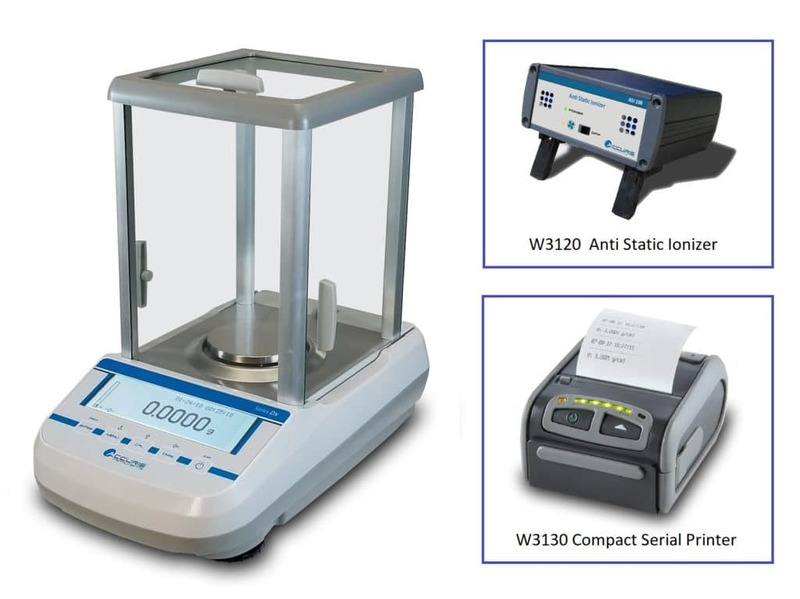 The Accuris Series Dx Analytical Balances are robust, workhorse instruments that utilize Electromagnetic Force Restoration (EFR) technology. EFR is the gold standard for fast and reliable sub milligram mass determinations. The waterproof and wear resistant front panel has been designed to hold up to spills and years of constant use. A brightly lit, dot matrix graphical display clearly shows weighing results and also enables an intuitive menu system that’s easy to work with. 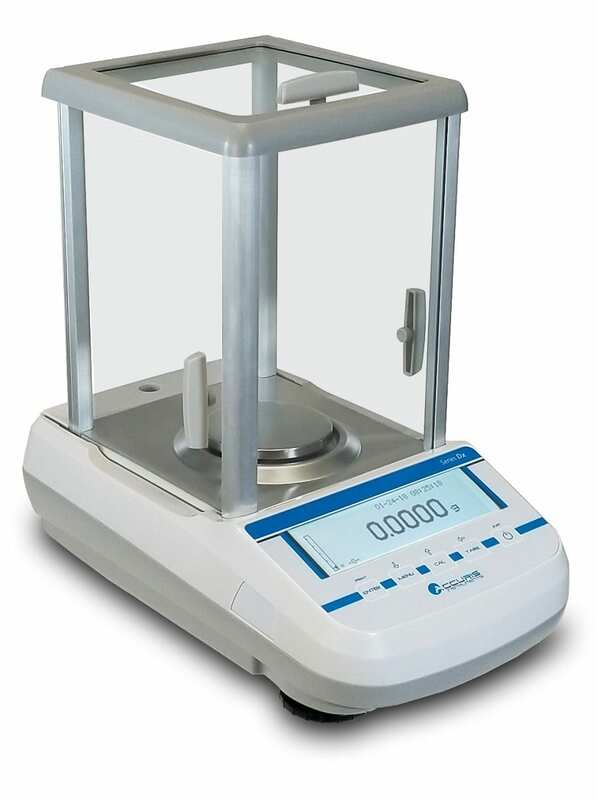 Useful features such as dynamic animal weighing, piece counting, percentage weighing and more are quickly accessible. The front feet of the Dx balances are adjustable for proper leveling of the on a stable surface, and a leveling bubble behind the weighing chamber confirms proper installation. A Quik-Cal™ calibration system helps ensure that the balance is always calibrated and ready for use. 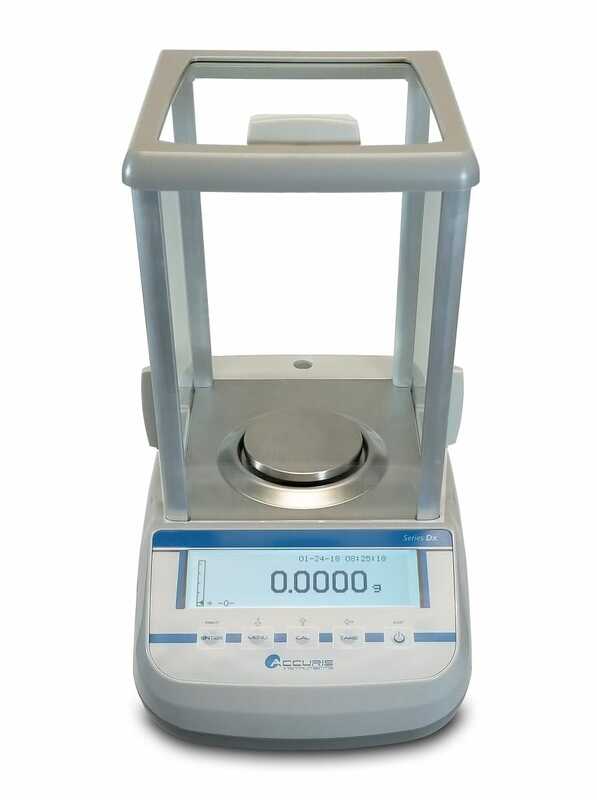 Simply press the CAL button to perform an automatic calibration using the internal precision calibration weight. Auto calibration can also be set to occur at specific time intervals depending on user preference.